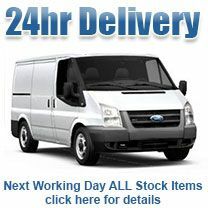 All stock items ordered before 4.30pm will be delivered Next Working Day. Regrettably this does exclude some of the more remote Welsh, Northern Ireland and Scottish Highland postcodes, which usually receive delivery within two working days. We use the national courier called DPD who offer excellent service including sending you a free text on the morning of delivery giving you a proposed delivery time, accurate to one hour. You may reschedule the delivery at this point or simply arrange your day so that you are in for delivery. 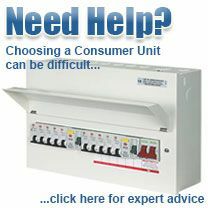 Delivery charge on all orders is £6.50 inc vat. Payment Information We accept all major debit and credit cards including Visa, Mastercard and Visa Debit and use SagePay, the UK's best known and widely used UK payment provider, for transferring transaction details in the checkout process. This means that no information submitted during this process can be examined, used or modified by any unauthorised third parties. Furthermore, we DO NOT keep or store your credit card details. This means that nobody can steal your details as we simply do not have them!